Bimetallic nanoparticles with tunable compositions and electronic properties are normally prepared by impregnation, reductive deposition precipitation, and atomic layer deposition. Recently, reactive metal-support interaction (RMSI) has been adopted to prepare bimetallic alloys, in which a chemical reaction between metallic nanoparticles and the support will lead to the formation of bimetallic nanostructures. Most RMSIs happen on reducible oxides, such as TiO2 and CeO2, however, they still require fairly high temperature process that could lead to particle agglomeration and difficulty in controlling the size of the bimetallic nanoparticles. 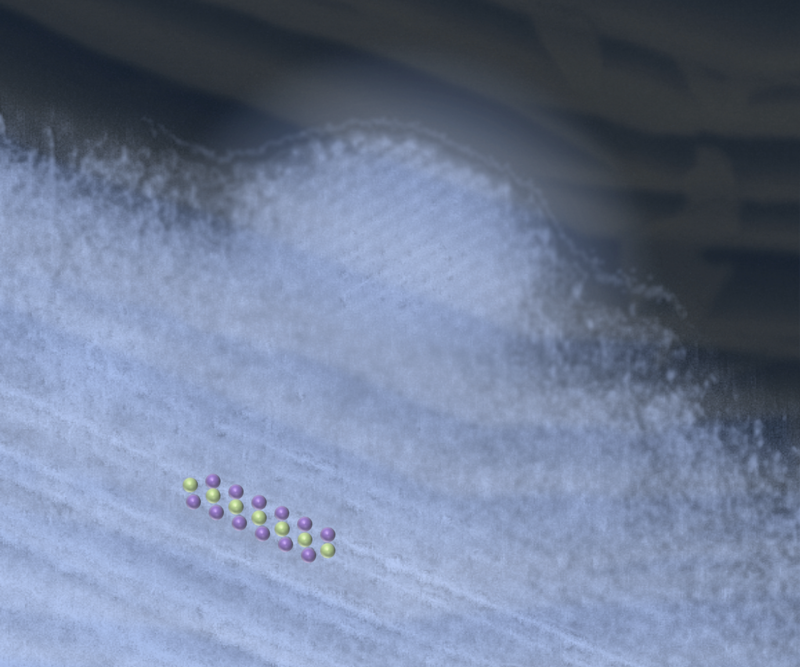 We started the research on MXene, a family of 2D metal carbide materials about two years ago. Initially we were fascinated by their theoretical high thermal conductivity which could be comparable to brass in certain cases. During the research, the surface reactivity started to attract us to further look at their potential applications in catalysis. We found RMSI can also happen between Pt and Niobium-based MXene after the removal of -OH and -F surface functional groups and a Pt-Nb surface alloy can be formed at a much lower temperature to maintain the small size of the nanoparticles. Such an alloy exhibits weaker CO adsorption than monometallic Pt. Water-gas shift (WGS) reaction kinetics indicated that the RMSI can create interfaces with higher H2O activation ability compared to a non-reducible support or a bulk niobium carbide.